There were about 30 people in the train. More than half of them are foreigner tourists who were also coming for the White water Rafting. Their spirit was high, and all happily chit chat with one another. 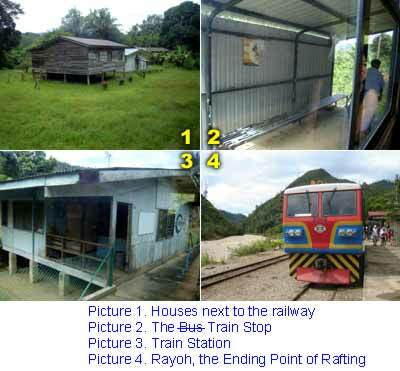 Most of the railway is next to the Padas River, so you could see the river condition clearly. Besides, you will see small houses, grass field, hills, fruit plantation, dense forest along the path, a typical rural view of Sabah. 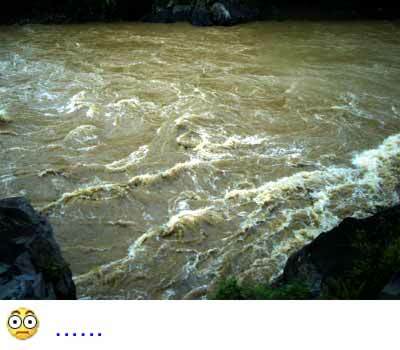 I don’t know why they call this “White Water” Rafting coz the color of Padas River looks more like Teh C (Milk Tea). After an hour, we reached Rayoh, the ending point of water rafting. This was the place where we would stop for a short while, kept our personal belonging in the lockers there, changing cloth. After 10 minutes, we all got on the train again to go further up to Pangi, which is about 10 KM away. The only thing I brought along was a diposable waterproof camera. No more digital camera from this point on. Now is the rainy season. So the Padas River was quite deep and “fat”, carrying large quantity of water and sand. Everyone relaxed and enjoyed watching the river. As the train moved closer to the upstream, the current seemed to move more swiftly… Everyone got excited. I can see the words “Not Bad Huh” written on their faces. 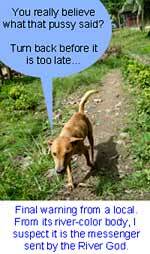 But what we saw later started to exceed our comfort zone. The closer to upstream, the more Padas River revealing its angry and violent behavior, as if it was hungry for a sacrifice from a ritual. Our hearts were beating as fast as the rapids, when we realised how strong they are. The train moved quite fast so I only managed to shoot a few photos. The wave below looks like a huge washing machine. Our laughter and smiles gradually vanishing and everyone stopped talking and stared outside the window. The Wah and Wow expression on their faces were replaced by fear. 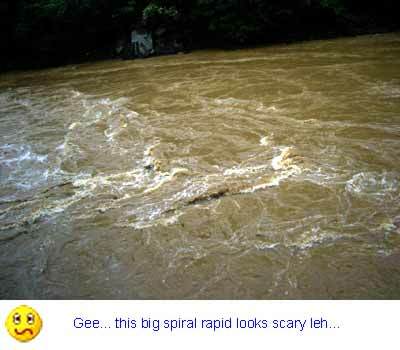 The rapid in the photo below looks like many snakes moving. As you can see, its waves can bite you from any direction. We saw more and more rapids like that. And the next one always looked more shocking and sound “louder” than the last one, even in the train. The silence and tension were growing. 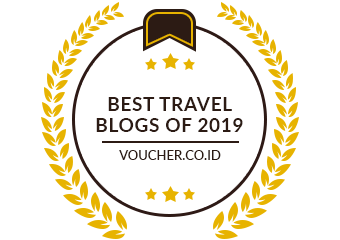 At the end, we only heard train howled in pain and moved slowly to the destination, Pangi, the starting point of the rafting. I did not exaggerate anything. We were quite worried and scared at that moment. The waves may look small in the photos above but keep in mind that the river is very far away from my camera.